In July 2015, heavy rains have broken the prolonged drought and renewed hope for planting of crops and a revival of beneficial rain-related fall-out for both humans and livestock. One of the adverse affects of the drought in 2015 was the scarcity of water and grain for birds, peacocks and animals including those that are accustomed to obtaining these essential elements from community centres, temples, mosque court-yards, etc. Members of Baanhn Beli residing in Nagarparkar, Kasbo and other villages are regularly arranging for water and grain to be available to feathered friends as well as four-legged companions—- without any discrimination ! On 1st July 2015, in partnership with USAID and IUCN, Baanhn Beli has begun the implementation of the formulation and preparatory work for a National Vulture Conservation Strategy. From 9th to 12th August 2015, President Dr. Shankarlal Motiani and Programme Manager M.K. Marri are representing Baanhn Beli in the Asia Regional Conservation Forum of IUCN in Bangkok Thailand. It is planned to observe the anniversary of the adoption of the Founding Document of Baanhn Beli known as the Nagarparkar Declaration which was adopted on 5th August 1987. One of the adverse affects of the drought in 2015 is the scarcity of water and grain for birds, peacocks and animals including those that are accustomed to obtaining these essential elements from community centres, temples, mosque court-yards, etc. Members of Baanhn Beli residing in Nagarparkar , Kasbo and other villages are regularly arranging for water and grain to be available to feathered friends as well as four-legged companions—- without any discrimination ! 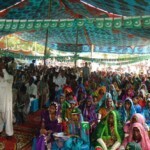 Nagarparkar Festival / Mela on Peace, Pluralism and Inter-Provincial Harmony 14-18 August 2015. First: severe adversity affects parts of the population and the region, not the entire area and all residents. 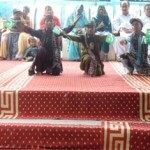 Tharparkar is spread over 22,000 square kilometres with a population of about 1.5 million residing in 2,300 villages and urban settlements. Divided into six talukas Mithi, Islamkot, Chachro, Dihly, Diplo and Nagarparkar the area often receives varying levels of rainfall or none at all. On a visit to Mithi and Nagarparkar on 17th and 18th July 2014, during inter-actions with friends, fellow-workers and other aliens from outer space, a small collection of brief true tales. During the Jam Sadiq Ali Government in 1992, a certain Tehsil level Food Inspector was officially declared and duly-recorded to be “dead”. Shortly thereafter, in a second coming, the same individual, with a new name was appointed to the very same position. About 22 years later, in 2013-14, after having been charged with corruption and being suspended, he has resumed duties in exactly the same position. The identity of the person and this charming case is widely-known. Here is living proof that neither drought nor famine can cause deaths. The Mukhtiarkar of Mithi, Ghulam Mustafa Khoso confirmed to this writer that the distribution of relief food consignments received from the Provincial Government for two phases is already completed. The third phase is awaited. There is no delay on the part of local officials. In contrast to the image of the conventional, stereotypical bureaucrat who can be both insensitive and incompetent, the present Deputy Commissioner of Mithi, Mr. Asif Ikram (DMG), whom this writer was unable to meet, is very highly spoken of, both for his integrity and professional competence. He has reportedly formulated the draft of a new policy to effectively deal with droughts and other disasters. Karachi has exported an honest and efficient cop to Mithi. 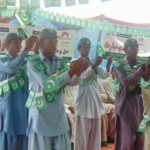 SHO Tariq Memon has taken strong action to curb the sale of addictive new versions of gutka known as “2100” and “Zafri”. He has also initiated other preventive measures including prior warnings and follow-up counsellings. 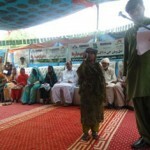 A fine contrast to the endemic absence of doctors in Tharparkar and their unwillingness to serve in remote locations. For the first time, at a health centre such as the Nagarparkar Taluka Hospital led by the Medical Superintendent, Dr. Shankar Lal: as many as ten new doctors have begun to dispense long-needed care where, previously, there were only four doctors. The new doctors, for the first time, comprise specialists : a woman gynaecologist (posted as a PPHI appointee, not as a regular Health Department appointee); a paediatrician; a chest diseases specialist and a dental surgeon. Two new generalist Medical Officers have also joined duty. 23 vacancies for doctors remain unfilled. But this is a dramatic improvement. Of the 20 beds in the hospital, on the average 10 to 15 are occupied. About 200 to 250 persons seek care every day at the Out-Patients Department. There has been no death from malnutrition recorded for the past five years. Dr. Sahib Dino Janji, paediatrician at the Mithi Civil Hospital informed me that, only 6, not 40 children currently admitted at the Hospital are suffering from malnutrition. Causes of their condition do not necessarily have to do with lack of food but with inappropriate feeding practices, failure to take timely steps by parents, etc. Whether on the Karachi-Hyderabad-Mirpurkhas-Naukot-Mithi-Islamkot-Nagarparkar route or the Nagarparkar-Mithi-Badin-Golarchi-Sujawal-Thatta-Karachi route : the state of the roads is like Pakistan’s democracy, a perpetual work-in-progress, subject to sudden jolts. The standard ranges from stretches of superb quality to patches of terrible pot-holes and ditches, the former a delight to drive upon, the latter a nightmare in day or night, particularly because, without any preparatory, cautionary sign, the well-carpeted surface suddenly springs a dip or a break which can test the best of brakes. On the night of 17th July, driving out of Mithi to Nagarparkar, strong winds spread fresh hope. Lightning silently streaked dark skies. Then about 15 minutes of heavy rain. So heavy at times that the car had to stop because visibility was reduced to virtually zero. Was that a hint of good news to follow soon Next day, elsewhere as well, families and oxen ploughed fields to prepare for the fulfilment of the promise. On the tall electric light-poles that line the entrance to Mithi, the flags of the ruling party are reduced to tatters and rags that flap forlornly in the wind. But soon, there will be Independence Day on 14th August. Time to raise new flags of harmony and hope. The participants belong from twelve remote villages of UC Pithapur & Nagarparkar participated in the training, the training objects were to increase and improve the knowledge of village women in health education which plays an important role in the community hygiene, prevent illness and have positive health attitude. Health is cleanliness and cleanliness is one of the main defenses against diseases, whether contagious or self-generated. 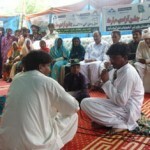 In general it was discussed the actual meaning of health and hygiene, so that the aim of good health can be achieved through sanitary habits and healthy way of living, that the village women became health educator for their own village and for nearby villages in order to disseminate information on health and hygiene. 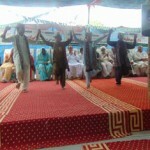 New Executive Committee of Baanhn Beli for 2013-14 elected in Nagarparkar. 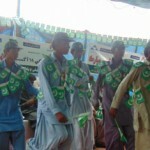 Maintaining its democratic tradition over the past 25 years of formal work begun 27 years ago, the volunteer-led pioneer development organization of Tharparkar known as Baanhn Beli ( a friend forever ) held its bi-annual elections on schedule to elect new office-bearers and a new Executive Committee. 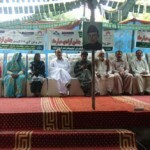 The committee unanimously elected as president Mr. Faiz Mohammad Junejo , a primary school teacher in a village near Mithi. He has served for over 20 years as a dedicated volunteer-member of the organization and has previously been elected General Secretary and Treasure Other Members represent a range of disciplines including college education, medicine, small farmers and businesses, agriculture extention work, local government service and graphic design, reflecting the unique rural-urban blend of Baanhn Beli’s membership, with the majority comprising residents of villages and small towns. The outgoing President who served for two consecutive 2-year terms is Mohammad Khan Marri, a water resources engineering specialist who has headed the water research centre in Tando Jam. 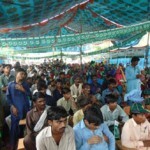 Baanhn Beli continues to sustain and enhance its grass-roots work in hundreds of villages and settlements of the Tharparkar arid region in the sectors of girls education, primary health care, small loans, capacity building, water resources as well as advocacy and voter enlistment in Mirpurkhas, Karachi and elsehwere in Sindh. 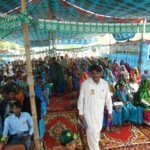 At the Baanhn Beli office at Nagarparkar in District Tharparkar, Sindh, Pakistan on 26th January 2013, it was announced by the two-member Election Committee that the new Executive Committee of the development organization known as Baanhn Beli (A friend forever) has been elected. A meeting of the newly-elected Executive Committee was convened immediately after the announcement of the result of the election. 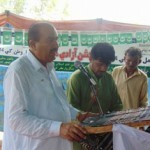 General Secretary Murad Ali Rahmoon. The nomination papers as received by the deadline were scrutinized by the two-member Election Committee comprising Javed Jabbar, Founding President, Baanhn Beli and Dr. Ghulam Mustafa Kolachi, Member, Baanhn Beli. 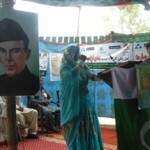 The 25th Annual General Body meeting for the year 2012 Held on January 11, 2012 at Baanhn Beli Office Nagarparkar Rural women empowered by education and health, Indian visitors want to franchise the organization’s approach . 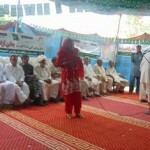 The pivotal importance of providing education and primary health care to girl-children and women living in remote and rural areas was highlighted at a simple, colorful and well-attended Annual General Body meeting was held at Nagarparkar District Tharparkar on January 11, 2012 Participants included members of Baanhn Beli over 74 women and men who had specially travelled from the villages of District Tharparkar,Umerkot Mirpurkhas to Nagarparkar for the Annual General Body meeting Speaking in local dialects of Tharparkar like Dhatki, and in Sindhi and Urdu, villagers described how the process of becoming literate and being vaccinated against diseases had initiated basic and positive changes for the better in their lives. Female speakers included those who have now gained employment as para-medics and teachers after having commenced their education in schools established by Baanhn Beli. Mr. Gohram Balouch brifed about SLMP Project activities supported by UNDP like Small-scale farmers said support provided by Baanhn Beli in introducing solar-powered water-pumps in place of expensive deisel-powered pumps had vastly increased agricultural cultivation and boosted household incomes in an arid region.Folk musicians from Tharparkar also rendered melodies and songs to lend a festive air to the occasion. 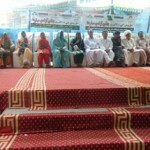 Women members of Baanhn Beli residing in remote villages of Tharparkar,umerkot , Mirpurkhas and Karachi spoke on the occation Ms.Nazo,Ms Jari, Ms.Pali , Ms. Zareena Chaki,Ms. Ayesa appreciated the support extending PPAF ,TAF, UNDP through Baanhn Beli in water resources,health ,education and CNIC and voter registration although their Govt Rural health Centre and BHUs in Tharparkar are working with out Lady Doctor They demanded full time female medical staff on a long term basis to help meet of thousands of women and girl Children Mr.Javed Jabbar, founding president of Baanhn Beli said that the organization’s sustained work as a unique-rural-urban bridge of friendship and development over two and a half decades in harsh and difficult conditions was a tribute to the dedication and sincerity of all its members, supporters and partner-organizations. He also thanked the media for helping focus governmental and public attention on the deprivation of rural and remote areas. Other speakers included Dr H. B. Kolachi He recalled how the journey began in 1985 and appreciated the commitment of urban- based citizens to help their rural brothers and sisters He said that Professor .Gaffar Billoo and Javed Jabber had served as sources of inspiration for young doctors to serve the health sector in the public interest He praised the role of Dr.Fareeda Yasmeen as the first woman doctor who travelled to far- flung villages to provide health care to women and children. M. K. Marri said the construction of hundreds of water wells in arid areas had made a dramatic difference in the lives of thousands of families. The treasure quoted Figures and data from each of the audited accounts statement and explained in details. The Founding president Mr. Javed Jabbar pointed out that the most important source of income for Baanhn Beli which was not reflected in the financial statement is the enormous amount of time and other resources contributed on a voluntary basis by members of Baanhn Beli.